Following the 11-day strike by the Belize National Teachers Union (BNTU), both teachers and students returned to the classrooms on October 19th. Before and after the strike, Minister of Education, Patrick Faber, informed the members of the BNTU that their salaries would be adjusted if they participated. However, after negotiating with BNTU President, Luke Palacio, Faber has offered two proposals in support of teachers receiving their complete salary for the month of October. 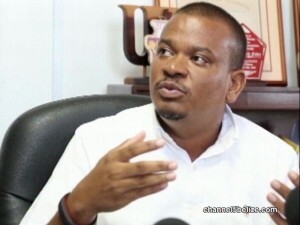 The first proposal stated that Palacio should use the BNTU’s Strike Fund to finance some teachers’ salaries, and the other proposal states that the MOE will pay the teachers in full whilst demanding that they put in extra hours to make up for time lost in the classrooms. “If we find agreement then the Ministry will proceed with paying full salaries for the teachers on strike on the condition that the BNTU will repay the government from its strike fund the agreed portion that BNTU would be responsible to meet for the teachers who are on strike,” Faber stated in a letter dated October 21st. Both Faber and Palacio were scheduled to meet on Friday, October 28th in Belize City to discuss teachers’ salary for the month of October. Faber hopes that the MOE and the BNTU can resolve this issue and reach a compromise. “We are hoping that when we sit down on Friday with the BNTU we are able to come to some common ground where yes, the union takes some responsibility for what happened, and takes on the responsibility as well, at least partially, to pay those teachers, and then the government looks at the situation and tries to do its part…I am going into the meeting with a mind to try to alleviate the situation…and then look out for the best interest of the students. That means that we will have a discussion on possibly making up the time as well, and that is why for us it is very important for the government to play a part…there are a lot of finer details that we need to discuss and I’m looking forward to the meeting on Friday with the BNTU to get those matters resolved,” ended Faber.